Unity with nature is increasingly part of our lives and makes it more harmonious. Wooden furniture is increasingly popular. There is a perception that the interaction of water and wood, wooden objects leads to a short service life, but it is not so! 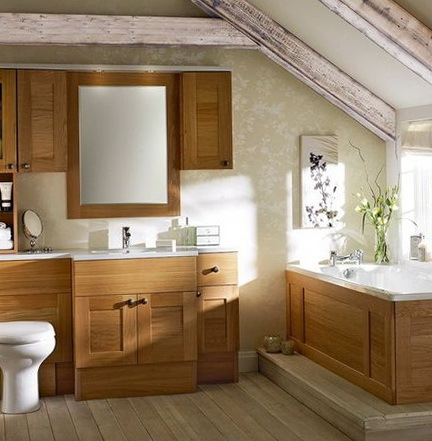 It all depends on the processing and coating of wood products, namely furniture that is designed for the bathroom. 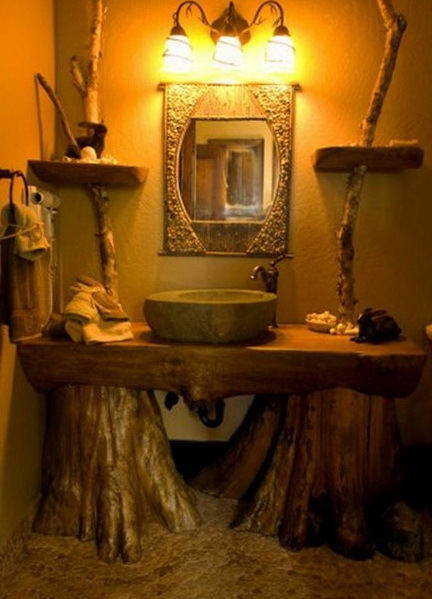 To use the tree in the bathroom to use the waterproof layer, so that it served for a long time. Before you learn how to choose furniture, of wood will last you a long time and is high quality and will look aesthetically pleasing. 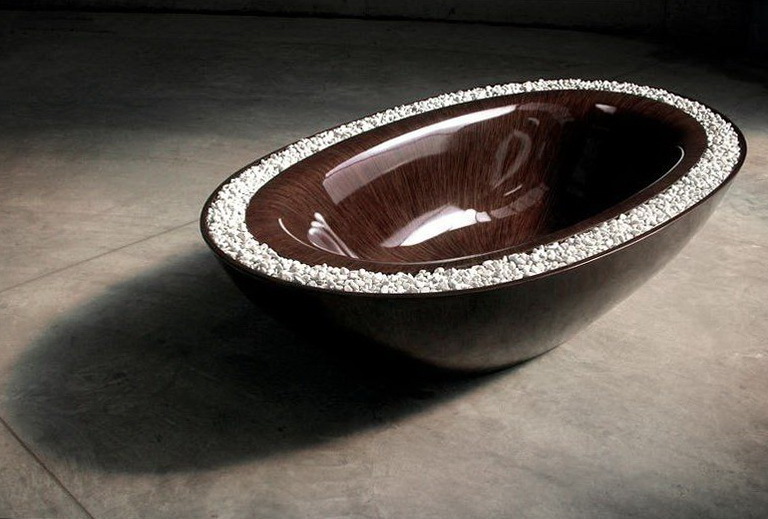 Beautiful sink is made of natural wood in an unusual curved shape in the form of a cloud of dark wood treated with varnish. 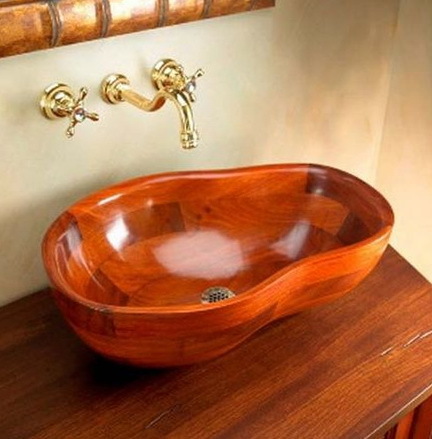 Beautiful sink is made of natural wood in an unusual curved shape in the form of a cloud of dark wood treated with varnish. 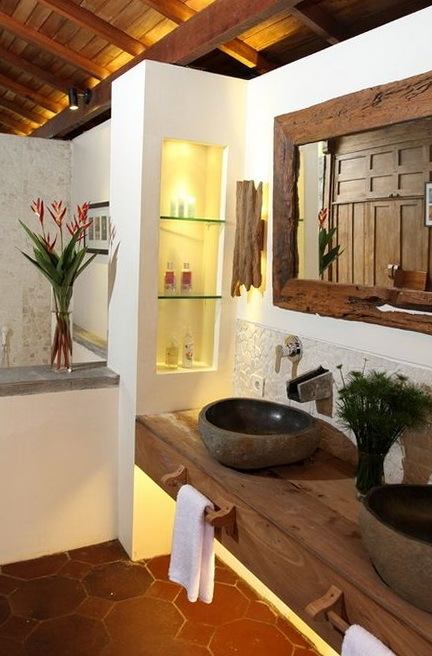 An example of the use of stone and wood in the interior well together. 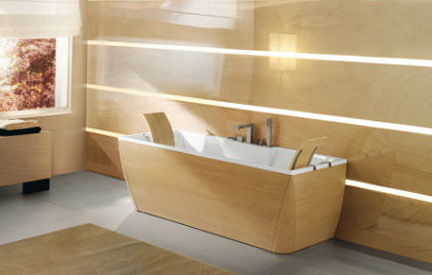 Real wooden tub looks great, and certainly do not have to be very warm and comfortable. Interior entices its warm and light shades of wood, tiled bathroom frame construction, wood treated with water-permeable lacquer. 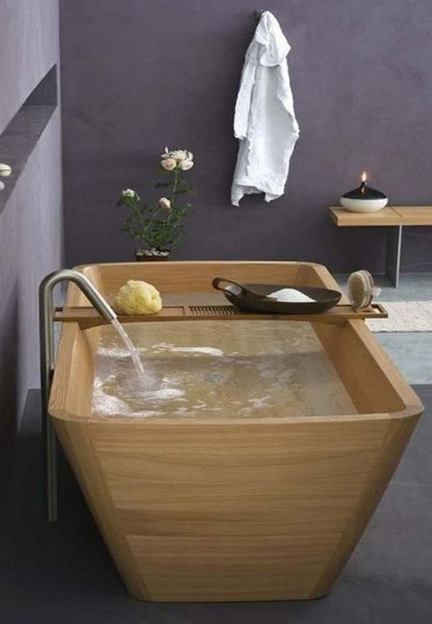 Washbasin is made of natural wood in the form of a table and the bottom of the trough even substitute of wood for flushing such sink is relevant to rural tree. 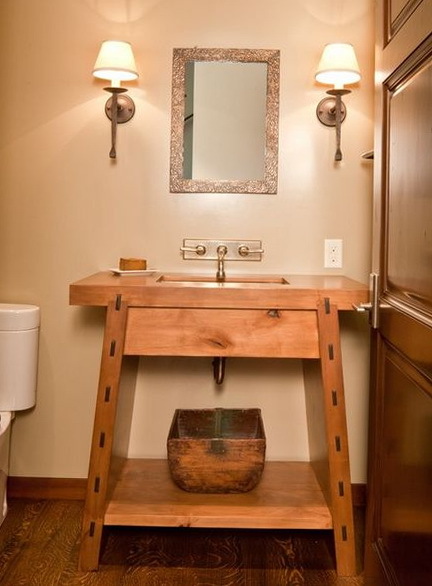 The bathroom in the Russian style, looks very interesting and even said resembles a Russian bathhouse, all completely made ​​of wood, the table legs are real old stumps of mighty oaks. 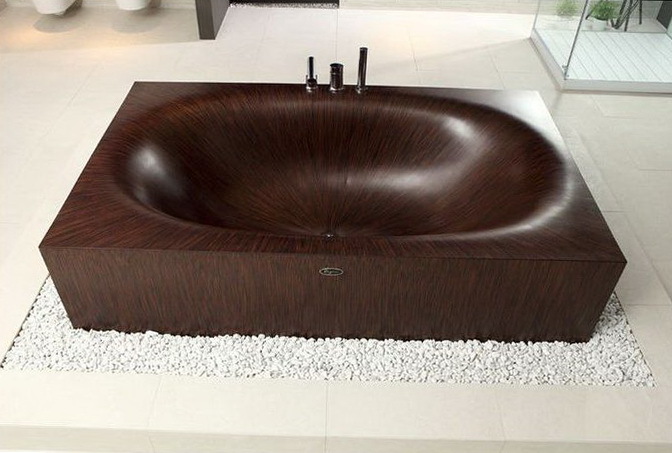 Elegant bath is made of high quality material of dark wood. Wood – it’s warm and favorable material for comfort and a good atmosphere.